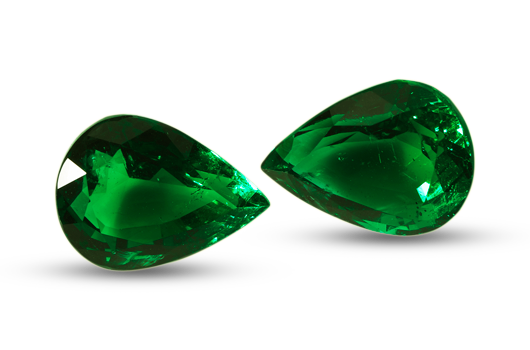 Emeralds are most fascinating for their gorgeous green colour and a well cut gem would always enhance its natural colour. The pair of Pear Cut Emeralds are a perfect combination of fascinating colour and a complementing cut. 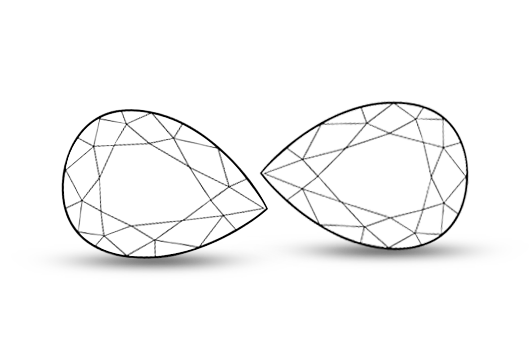 Finding stones in pairs and getting a similar cut and size for each is an exemplary effort. It takes a skilled eye to spot the perfect pair and a talented hand to cut it to perfection. 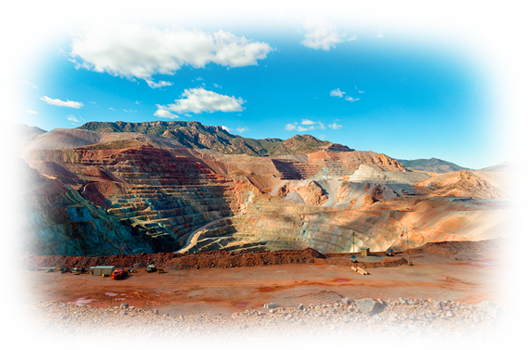 House of our highly skilled and talented craftsmanship, where our gems take a new birth. With care at each stage, a new life is given to each raw where its glows more vibrantly. 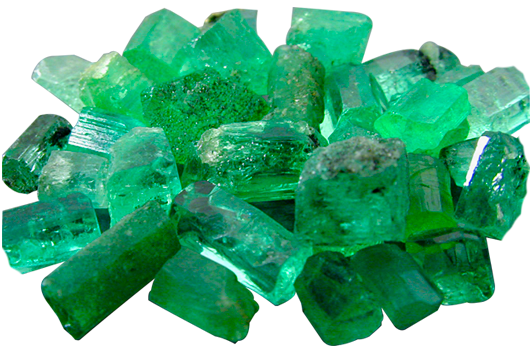 Coming from the mines of Zambia, these stones have a deep green colour and possess extreme clarity. With a brilliance and fire that is captivating, these gems have nice transparency, which makes it precious and rare. They are insignificant as pure as it came from the mines. One of our personal favourites, these little drops of fine emerald colour are sure to create envy for those who spot them on you. The stone radiating a stunning brilliance through its multiple facets possess a sharpness that will pierce a heart too many with envy.